MOTIVATED SELLER! 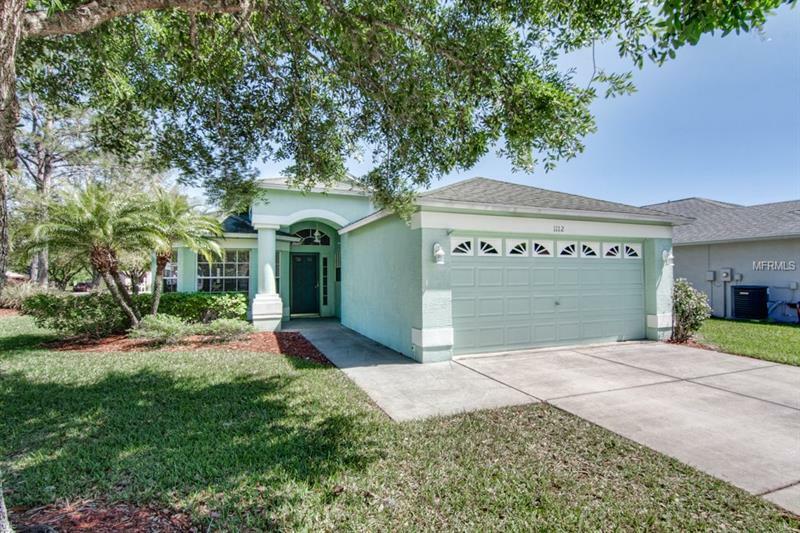 You can't beat the location of this bright, airy and well maintained 3 bedroom, 2 bath (or 2 bedroom plus den) single family home in desirable Heritage Springs, 55+ gated community. Located on an extra wide corner lot, this home is ready to move in and start enjoying the lifestyle & amenities Heritage Springs has to offer. The kitchen with custom oak cabinetry, portable island, lots of counter space, breakfast nook with a bay window & a breakfast bar opens to the dining/living room combo with high grade laminate floors. Double glass French doors lead to screened lanai from living area and another set leads to one of the secondary bedrooms (den), also with high grade laminate flooring. Spacious master retreat has large walk-in closet, dual sinks, oversized walk-in shower w/built-in bench seat & glass wall, separate water closet & new carpet (installed 3/2018). Front wing of house has pocket door for privacy. Plenty of storage, large pantry, inside laundry room, 2-car garage equipped w/golf cart charger outlet & attic! Enjoy the space, privacy, beautiful landscape, outdoors & the numerous amenities and activities that appeal to every aspect of an active adult lifestyle, including golf, heated pool, tennis, shuffleboard, arts and crafts, billiards, special interest groups, socials, parties, restaurant and lounge, fitness center, outdoor pavilion, and more! If you are looking for the active and stress-free, country club lifestyle that feels like a luxury resort, this is the place for you! Amenities Additional Fees: Golf Membership included but green fees and carts are additional.